Spacecraft bus used for commercial satellites and a British military communications satellite. Communication satellite built by RCA Astro => GE Astro for Contel => GTE, USA. Launched 1985 - 1991. Used the AS-3000 bus. Status: Operational 1985. First Launch: 1985-08-27. Last Launch: 1991-04-13. Number: 3 . Gross mass: 1,280 kg (2,820 lb). Family: Communications, Geosynchronous orbit, Military communications sat. Country: UK. Engines: Star 30C. Spacecraft: Re-Entry Escape System. Launch Vehicles: Thor, Delta, Space Shuttle, Ariane, Delta 2 7000, Ariane 44LP, Delta 7925. Projects: GTE, Panamsat. Launch Sites: Cape Canaveral, Cape Canaveral LC17B, Cape Canaveral LC39A, Kourou, Kourou ELA2. Agency: Contel. Bibliography: 2, 279, 6, 10803, 12109. 1985 August 27 - . 10:58 GMT - . Launch Site: Cape Canaveral. Launch Complex: Cape Canaveral LC39A. Launch Platform: MLP1. LV Family: Shuttle. Launch Vehicle: Space Shuttle. ASC-1 - . Mass: 1,271 kg (2,802 lb). Nation: USA. Agency: new. Program: GTE. Class: Communications. Type: Civilian communications satellite. Spacecraft Bus: AS 3000. Spacecraft: ASC. Completed Operations Date: 1994-08-01 . USAF Sat Cat: 15994 . COSPAR: 1985-076C. Apogee: 35,796 km (22,242 mi). Perigee: 35,778 km (22,231 mi). Inclination: 0.00 deg. Period: 1,436.10 min. 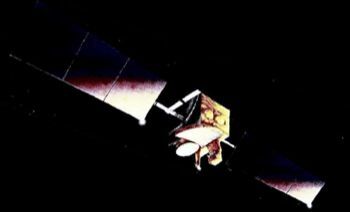 Released by STS 51I 8/27/85; stationed at 81 deg E. C, Ku band communications satellite. Positioned in geosynchronous orbit at 128 deg W in 1985-1994 As of 5 September 2001 located at 99.97 deg W drifting at 0.156 deg W per day. As of 2007 Mar 10 located at 119.21W drifting at 0.126W degrees per day. 1988 June 15 - . 11:19 GMT - . Launch Site: Kourou. Launch Complex: Kourou ELA2. LV Family: Ariane. Launch Vehicle: Ariane 44LP. Panamsat 1 - . Payload: PAS 1. Mass: 1,220 kg (2,680 lb). Nation: USA. Agency: Panamsat. Program: Panamsat. Class: Communications. Type: Civilian communications satellite. Spacecraft Bus: AS 3000. Spacecraft: ASC. USAF Sat Cat: 19217 . COSPAR: 1988-051C. Apogee: 36,043 km (22,396 mi). Perigee: 36,028 km (22,386 mi). Inclination: 1.20 deg. Period: 1,448.90 min. Stationed at 45 deg W. Positioned in geosynchronous orbit at 45 deg W in 1988-1999 As of 5 September 2001 located at 139.29 deg E drifting at 3.164 deg W per day. As of 2007 Mar 11 located at 114.72W drifting at 3.187W degrees per day..
1991 April 13 - . 00:09 GMT - . Launch Site: Cape Canaveral. Launch Complex: Cape Canaveral LC17B. LV Family: Thor. Launch Vehicle: Delta 7925. ASC-2 / Spacenet F4 - . Mass: 1,350 kg (2,970 lb). Nation: USA. Agency: Contel. Program: GTE. Class: Communications. Type: Civilian communications satellite. Spacecraft Bus: AS 3000. Spacecraft: ASC. USAF Sat Cat: 21227 . COSPAR: 1991-028A. Apogee: 35,794 km (22,241 mi). Perigee: 35,780 km (22,230 mi). Inclination: 0.00 deg. Period: 1,436.20 min. Commercial business communications; stationed at 101 deg W. C, Ku band communications satellite. 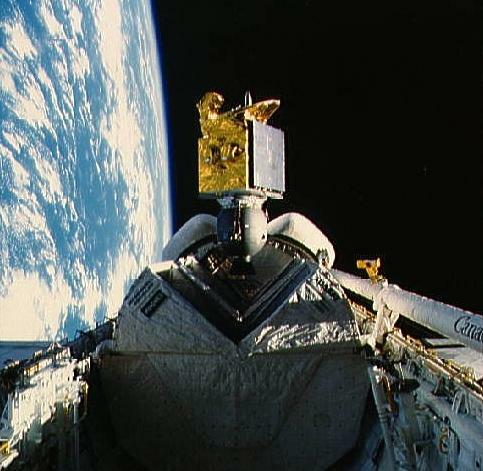 Positioned in geosynchronous orbit at 101 deg W in 1991-1999; 81 deg W in 2000. As of 6 September 2001 located at 172.04 deg E drifting at 0.007 deg W per day. As of 2007 Mar 9 located at 34.51E drifting at 2.539W degrees per day.